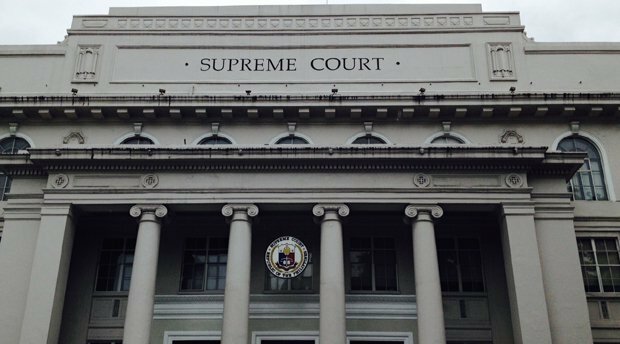 The Supreme Court has ordered the Judicial and Bar Council (JBC) to respond to the petition of Oriental Mindoro 2nd District Representative Reynaldo Umali questioning the high court’s 2013 decision that struck down the practice of allowing two members of Congress to vote in JBC deliberations. JBC is constitutionally mandated to screen aspirants to the judiciary and the Office of the Ombudsman. It submits a shortlisted candidates to the President for final determination. Under the 1987 Constitution, the JBC is created under the supervision of the Supreme Court, composed of the Chief Justice as ex officio Chairman, the Secretary of Justice, and a representative of Congress as ex officio members, a representative of the Integrated Bar, a professor of law, a retired member of the Supreme Court and a representative of the private sector. In 2013, the Supreme Court ruled that Congress should only have one representative in the JBC as it rejected the argument that a single representation runs contrary to the bicameral nature of the legislative department. But Umali, in his petition, said such a setup runs contrary to the bicameral structure of the legislature. “A single representation not only violates the intent of the frames of the Constitution but defies reason and practicability in the process,” Umali, chairman of the House committee on justice said. Under the present arrangement, Umali sits in the JBC from January to June while Senator Richard Gordon, chairman of the Senate committee on justice sits from July to December.